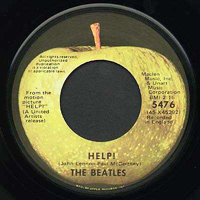 When the Beatle’s record company sued Apple for trademark infringement, they tried to brush it off. Eventually it cost them $56 million after the British High Court ruled against them. Later they even lost the US insurance trial.. ka ching.. another $8 million or so from the penny jar. Now today we have analysts that are so blindly in love brushing off Apple having to pay only $60 million as a victory for Apple. What? When is losing a court case and paying $60 million because your staff screwed up a victory? It’s like saying we won the war because we retreated and only half our soldiers died. Could have been worse. What if you were a more normal Silicon Valley company? One with only $20 million or so in the bank – at least half of which you are on the hook to for some VC on Sand Hill Road in Menlo Park? Now please explain your great branding strategy that costs a fortune just to use a cool name! Wouldn’t it be better to get a decent naming agency and law firm to keep you out of this mess in the first place? Why not even run a brief seminar for all your engineering and marketing managers. This is a big global issue. One that is not only directed by the USPTO trademark office.